Atlanta Travertine Cleaning is a part of Peak Floor Solutions LLC. We understand that your home or business is more than just a place to live or work; it’s an investment, an expression of who you are. You’ve paid special attention to every detail in your home or place of business and you want it to look its best at all times. 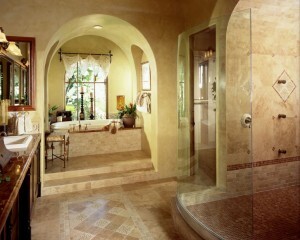 At Atlanta Travertine Cleaning we understand your needs. No matter where you are, you get unparalleled attention to detail, the finest techniques and products, and fast, friendly service to protect your investment and bring out the full beauty of your natural stone, concrete, and tile surfaces. Regardless of your busy schedule, the convenience and flexibility of Atlanta Travertine Cleaning provides you with the professional stone and tile detailing or decorative concrete your home deserves. Atlanta Travertine Cleaning is your premier resource for all of your floor restoration and maintenance care needs. When it comes to restoring the fresh look of your natural stone, concrete, ceramic tile and other hard floor coverings, allow Atlanta Travertine Cleaning to return that original beauty while enhancing your investment. We can restore or refinish any type of tile and natural stone, whether it is marble, granite, travertine, slate, ceramic tile, limestone, or terrazzo to its original beauty and luster.